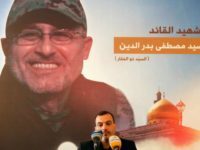 TEL AVIV – An anonymous online campaign is demanding Hezbollah leaders provide answers to charges that the Shiite terror group was behind the assassination of its own commander, Mustafa Badreddine. 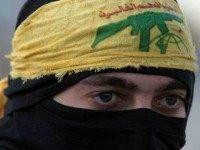 A video of a woman has surfaced on an anonymous YouTube channel claiming not only to be the lover of former Hezbollah military leader Mustafa Badreddine, but also that the terrorist leader was murdered by his own terror organization. 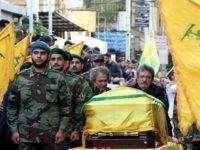 The chief of Israel’s armed forces said on Tuesday the death last year of the top Hezbollah military commander was an assassination by the Iranian-backed Lebanese group itself. 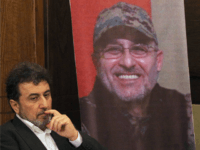 The Jerusalem Post reports: Hezbollah asked western journalists not to report that Israel was behind the assassination of Mustafa Badreddine, Hezbollah’s military chief, a prominent French journalist has alleged. 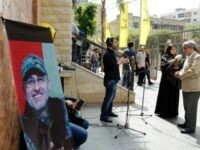 Israel is bracing for a possible Hezbollah response following the announcement on Friday that one of its top commanders, arch terrorist Mustafa Badreddine, was eliminated in an explosion.